The Deskstar ® NAS hard drive is a 7200 RPM 3.5-inch hard drive that provides an exceptional blend of reliability and performance, making it an ideal solution for consumer and commercial desktop NAS systems. This NAS-ready hard drive from HGST delivers media transfer rates that are as much as 20% faster than 5400 RPM drives and seek times less than 12ms. Furthermore, Deskstar NAS hard drives incorporate a rotational vibration sensor and achieve reliability of 1M hours MTBF. 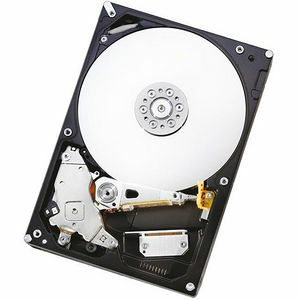 All HGST hard drives are designed to the highest quality standards with field-proven components. They are backed by HGST worldwide technical support and integration services, enabling customers around the globe to bring their products to market quickly.